Business Cards are the most popular promotional product. They are divided into personal and corporate. 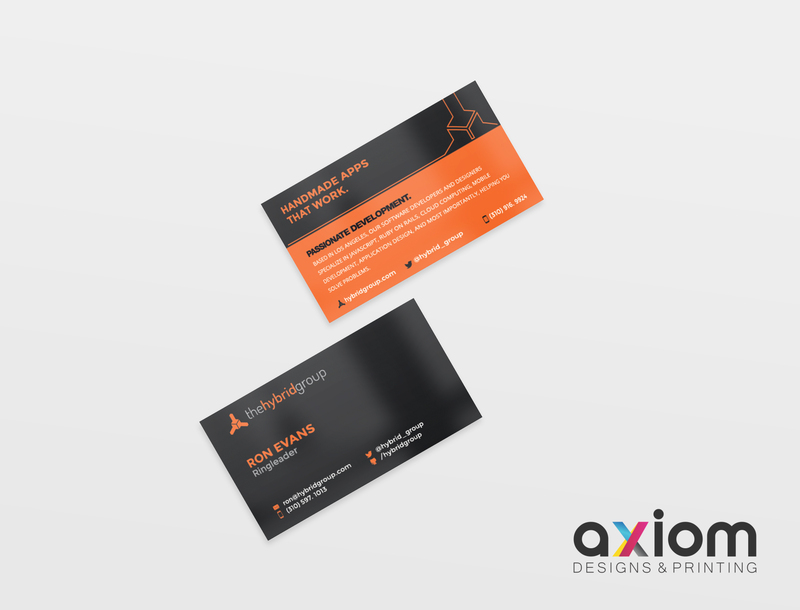 Personal business cards are used for informal communication, and often used by entrepreneurs, freelancers, people of creative professions. Design of cards is free, according to the owner’s taste and gives a clear idea of what he is doing. Corporate business cards are made in strict accordance with the corporate style – are used: name, logo, corporate colors. If corporate business cards are made for the employee, it must be given the position of the owner or his relationship with the company, all possible contacts. For government employees are allowed the use of symbols of state – Flag and Emblem. Print Business Cards Online is fast and easy! 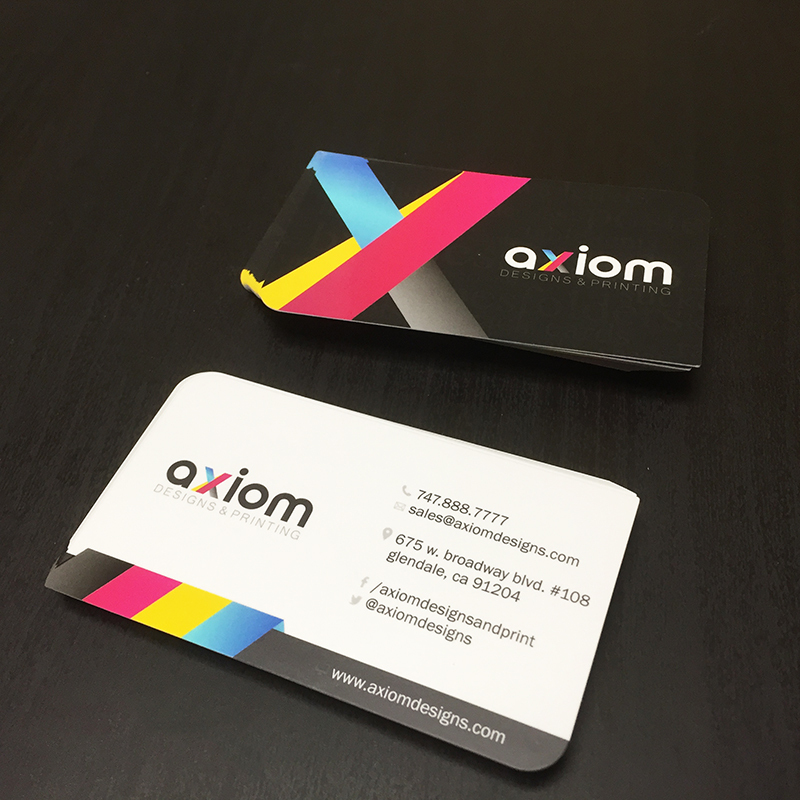 Print Business Cards Online in Los Angeles with high quality with Axiom Designs. As a premium online printer, we take printing very seriously. That is why we don’t settle for anything but the best printed cards. We offer a variety of printing options and paper stock. We start with our beautiful premium paper stock (14PT, 16PT, 18PT, 22PT and 32PT) and give you the option to add full UV, spot UV, inline foil, embossed, debossed just to name a few options. 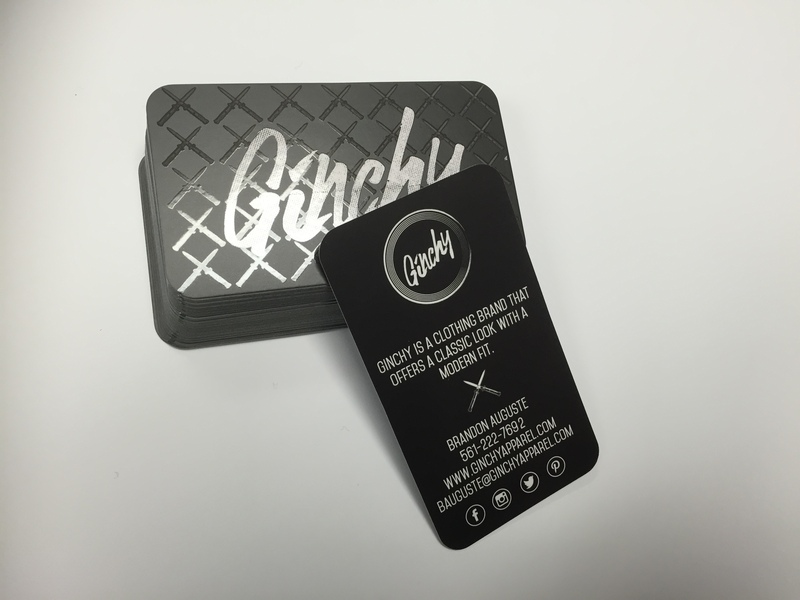 Plus, we also offer unique cards such as slim cards, square, oval or any other shape, linen and velvet laminated business cards – available with square or rounded corners. No matter what you are looking for, you will find your card at Axiom Designs. And don’t forget, they have many other uses beyond presenting your contact information. Other uses include loyalty cards, punch cards, discount cards, mommy cards, instruction cards, gift cards, membership cards… the options are limitless! Provide Your Own Design: Do you have a design? Perfect! Design and print your premium cards online! 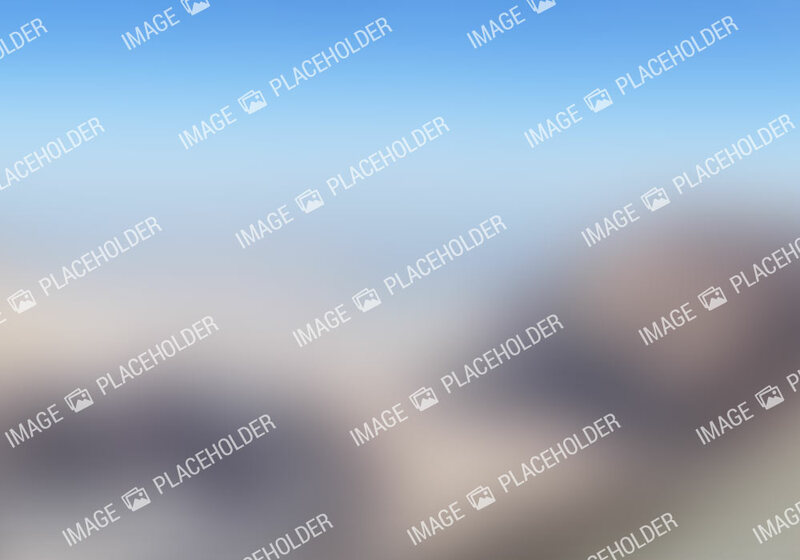 Check out our File Preparation section regarding artwork and file recommendations to make sure your file is set up correctly. We want to make sure Print Business Cards Online will result in the highest quality product possible. We recommend saving files as a PDF (preferred) but there are other ways available too. Questions? No worries! We’ll walk you through it in the ordering process. Let Us Help: No two businesses are alike, so no two cards should be either. At Axiom Designs there’s no sifting through templates, just to find your neighbor harboring the same design. All custom cards produced at Axiom Designs are made-to-order, one-of-a-kind designs. Our skilled graphic designers look at your business, your needs, and your expectations. You don’t fit into a box, so your cards shouldn’t either! Simply fill out some questionnaire to get started on your design. Typically, turnaround times for Print Business Cards Online can range from Same Day Printing to 10 business days and are based on the paper stock and finish that you order. Some are available for rush production.